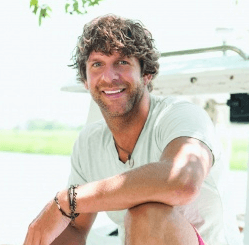 Currington is currently climbing up the charts with his latest single, “Drinking Town With a Football Problem.” The song, from his recently released Summer Forever album, is about the career he almost chose over becoming a singer. “That song reminded me of my high school hometown football team.” Currington says. “But, at the same time, there are so many towns we have played in that resemble that, too. It reminds me of so many places I’ve been a part of. I think a lot of people will relate to it. Download Summer Forever on iTunes.